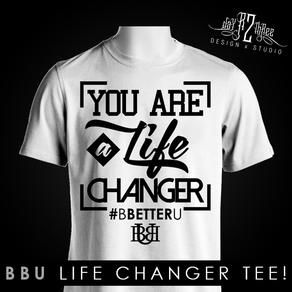 Changers to B Better U's Official Site!!! 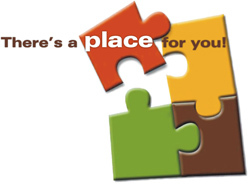 For those who don't know what B Better U is, it is a development mentoring organization that offers various programs and resources to children, youth and young adults. We are here to motivate, encourage and walk through life with every single one of our "Life Changers" who comes into our organization. We build a family type, safe and positive atmosphere, so that everyone feels welcomed and knows that we are not here temporarily in their life, but for a lifetime! BBU Email Subscription!!!! Join Today!!! Register today for B Better U's Exclusive Sports and Personal Training. There is limited space available. You don't want to miss an opportunity for your student or yourself to be apart of a program that is going to help impact and change their life; while becoming the best person, athlete and get into the best shape possible. Click the button below to fill out your registration form or get more information today! What is BBU Partners??? Just Click the Image (picture above) to find out more! Then just fill out a registration form (by clicking the button below) and put BBU Partners in the Additional Information section; then we will contact you for further details! Thank you for you interest in BBU Partners!!! Become a BBU Life Changer!!! Just Register at the Link Below!!! Help Change A Life By Building BBU! Hey everyone, its Coach Bry coming to ask for your help! Thank you for coming by and supporting our ministry business; B Better U. Our goal is to become a non-profit organization so that all our participants can one day not have to pay for the programs, services and resources that we provide, but all they have to do is just join a program that will help them become better in their life. To do that we have a lot of things to pay for to prepare for that. Plus we are trying to build each of the individual programs, so that we can provide the resources that are needed to help each one of our Life Changers be successful. I would love if you all would join in with this vision by donating whatever you can to continue build this ministry. Thank you for your time, love, support, and prayers! Be blessed!